High Speed Light to Medium Weight Zig Zag and 3 Step Machines of High Quality. NEED PARTS NEEDLES OR SERVICE for your PFAFF 418 438 PFAFF 918 or 938 Machine. Call Us. 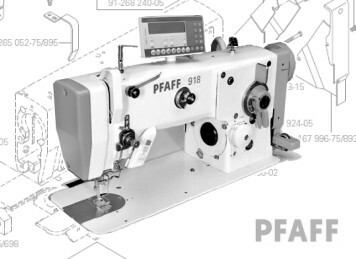 We have stock of all 'High Mortality' Parts For these machines so if the Part you need is not shown or you are not sure what you need, see the PFAFF 438 & the PFAFF 918 / 938 Parts Books or just contact us and we'll be able to help.